There’s something special about staying overnight in a brand-new hotel. Here in Tualatin Valley, our new hotels fit every budget and taste, from an extended-stay property to a hip, urban-style hotel. Plus, parking is always free! Tualatin Valley’s newest hotel is just a stone’s throw from the quaint burg Helvetia–home to the acclaimed Helvetia Tavern, Helvetia Winery and the Rice Northwest Museum of Rocks and Minerals. The Staybridge Suites Hillsboro North, which opened in April 2019, is a well-appointed extended-stay hotel, with amenities aplenty. A heated pool, fitness center and guest laundry provide many of the comforts of home. Bonus: The hotel is just steps away from the popular ABV Public House. The city of Beaverton welcomed its newest hotel in more than two decades with the November 2018 opening of TownPlace Suites by Marriott. This 112-room, extended-stay, all-suite hotel features full kitchens, free Wi-Fi, on-site laundry, free breakfast, fitness center, pool and more. Bonus: The new Cracker Barrel Old Country Store restaurant is located just steps from the hotel. Tualatin Valley is in the midst of a building boom, and these hotels have opened in recent years, giving travelers more options to find the perfect place to stay while traveling in our region. Aloft Hillsboro-Beaverton (opened June 2017) is a stunning, 137-room property located in Hillsboro. 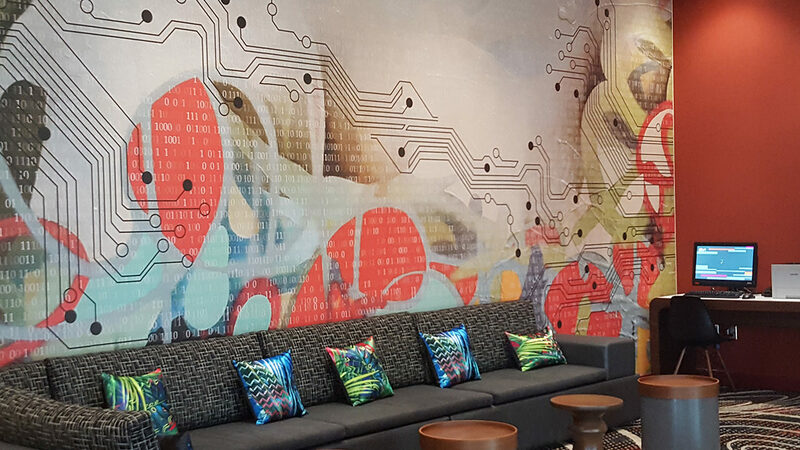 The Aloft features many of the modern services and amenities for which the brand is known. This hip new hotel also has an indoor pool, gym, on-site bar, free high-speed WiFi and free parking. Aloft is a Starwood Hotels & Resorts brand. Bonus: The Aloft is located just a short walk from the Streets of Tanasbourne shopping and dining area. Holiday Inn Portland West – Hillsboro (opened August 2016) is a 110-room well-appointed full-service hotel with an on-site restaurant, lounge, indoor pool and free WiFi. Situated in the heart of Hillsboro, Holiday Inn is close to shopping, dining, entertainment and the high-tech corridor. The on-site restaurant, The Boardroom Bar and Grill, offers gourmet breakfast and dinner, and the beverage list includes local craft beers and wines. Bonus: Guests have easy access to the MAX light rail, which takes visitors to and from the Portland International Airport, downtown Portland, Beaverton, downtown Hillsboro and more. Residence Inn by Marriott Portland-Hillsboro/Brookwood (opened July 2016) is a 146-room extended stay hotel with state-of-the amenities, free WiFi, complimentary hot breakfast and evening social hour. This first-rate hotel experience is perfect for business and leisure travelers. Bonus: The hotel is close to dining, shopping, the high-tech corridor, and to one of the Tualatin Valley’s newest attractions, Topgolf.